NSPR staffers Jonathan Coke and Jim Moore were helicoptered to the transmitter site atop Shasta Bally and re-established the KFPR transmitter, which had been off air since July because of the Carr Fire. More than four months after being destroyed by the deadly Carr Fire, 88.9FM KFPR in Redding is back on the air. 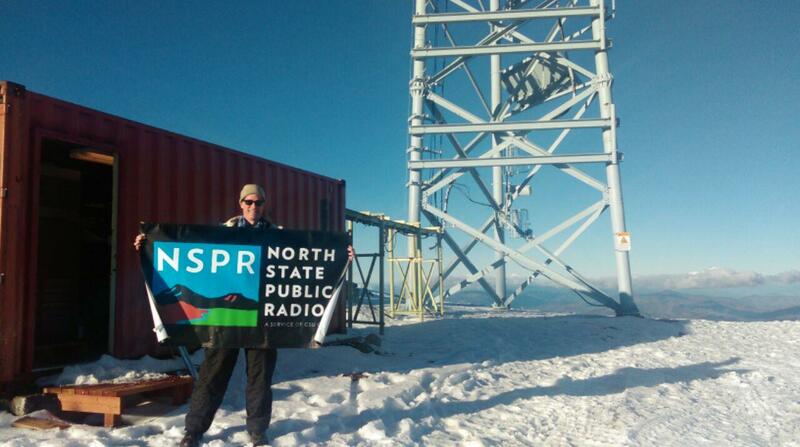 North State Public Radio’s Redding transmitter went off air on July 27, when the wildfire burned the site on Shasta Bally Mountain where KFRP and other radio stations were housed. Translators in Burney, 91.9FM, and Dunsmuir, 92.3FM, who get their signal from the Redding tower are also now back on the air. Broadcasting news, music and entertainment from NPR and local hosts, North State Public Radio’s main transmitter in Chico was also damaged last summer and was operating on reduced power for several months. He said that special thanks goes to the station’s Chief Engineer Jim Moore. NSPR plans on doing some events in Redding as a thank-you to the community, he said. Details will be broadcast on NSPR.